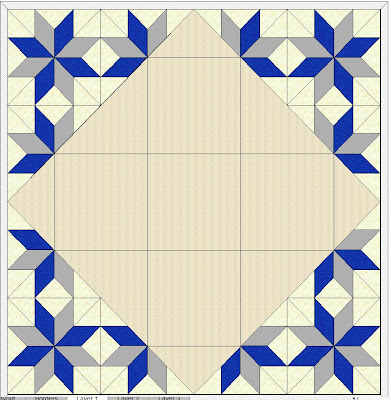 Well guys, for those of you who have been following my quilt ramblings, remember my brilliant idea on my lone star quilt? Well, scrap that as the colours were just not working out. That quilt is for my son and it just did not sit well. Well, I am still working on the concept design which may look like this. The centre piece will have additional features in it so watch this space…………..
By the way this design was created on EQ 6. 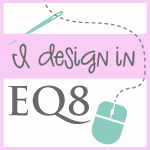 I must admit that I love my EQ 6, I still have heaps more to learn on it though. I like this layout. Offers a lot of possibilities with the center.